Music written by John Barry (Jonathan Barry Prendergrast) and lyrics by Hal David. 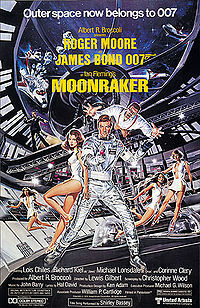 Written as the theme for the James Bond movie “Moonraker” in 1979. It was released on a single, and also on the Soundtrack LP. The song did not chart and the soundtrack LP only reached position 159 on the LP charts. This was the third official James Bond recording for Shirley Bassey and her last recording for the United Artists label. Shirley Bassey repeatedly said that she hated “Moonraker” and only did it as a favour to John Barry. The original soundtrack album contained two versions: the “Main Title” which was playing in the beginning of the film, and an up-tempo “End Title” which is from after the film during the credits. You can listen to both versions here. The soundtrack album is available on CD digitally remastered. The Main Title is also available on the collection Bassey – The EMI/UA Years 1959-1979, and was on the Reader’s Digest collection Shirley Bassey – This Is My Life, and is on many James Bond and John Barry collections. Another recording has been released 1992 on the Bassey Sings Bond album. The big news about the next Bond, “Moonraker,” was that “Jaws is back!” The towering Richard Kiel – who’d portrayed the recurring evil henchman, Voltaire, in TVs “Wild Wild West” – apparently found a following in “Spy” and was therefore called back for “Moonraker.” As the steel-toothed Jaws, he was a likeablebad guy who could never get hurt (thanks to Bond’s masochistic penchant for punching him in the mouth). Directed by Gilbert and written by Chris Wood, one of “Moonraker” ‘s bright spots is the presence of the beautiful French actress Corinne Clery in the small but memorable role of Drax associate Corinne Dufour. 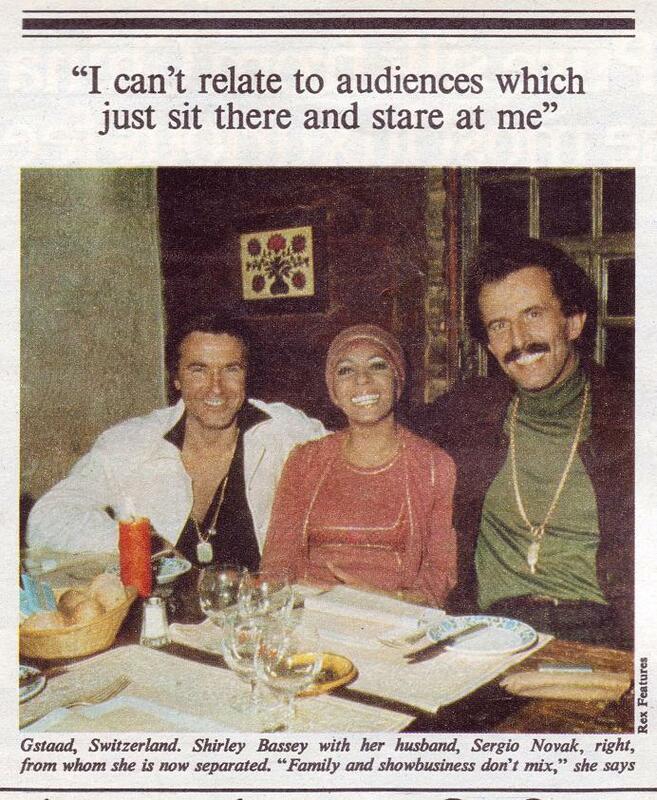 John Barry, Shirley Bassey and Hal David all came back to add some musical gusto to the proceedings. It has also been said that the job to write and record the song for this Bond movie was originally offered to Kate Bush, but she turned it down and so John Barry got the job again. 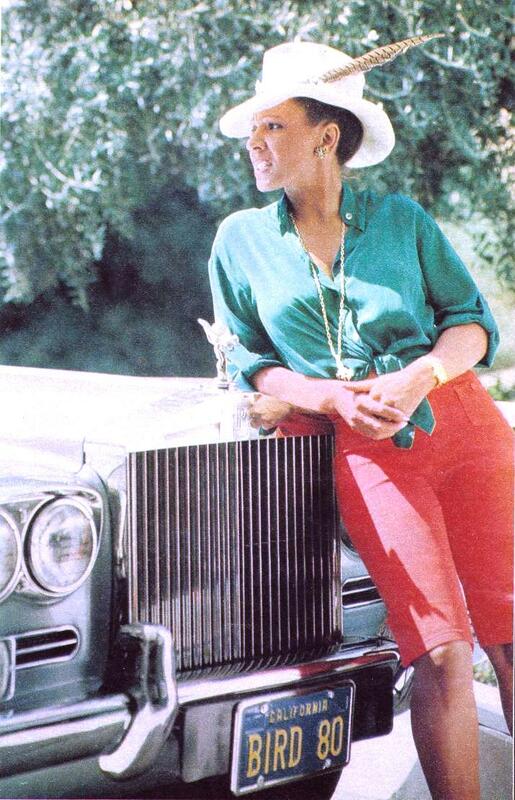 It has also been suggested that this song was originally written for Dionne Warwick, but she could not sing it, and then John Barry bumped into Shirley in an L.A. hotel and asked if Shirley could sing the song and she did, but it has also been suggested that Hal David and Dionne Warwick had gone their separate ways some years before. Finally, it has been suggested that this song was intended for Johnny Mathis but he was sick and had to drop out. 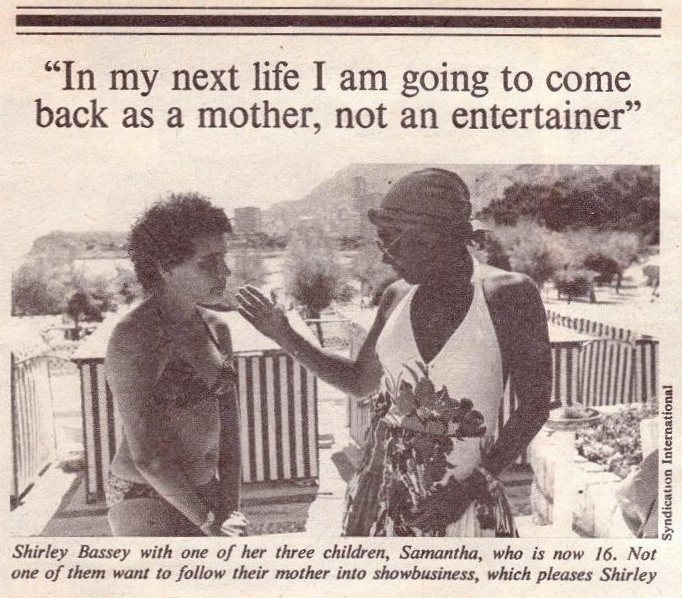 Shirley Bassey’s professionalism and personal upheavels bear out her theory that you have to experience all the emotions to move an audience. From the stage it was an extraordinary sight. The Welsh grandmother, dressed in a white floor lenght evening dress cut alarmingly low at bust and back, had nothing done so far except wish everyone “Good evening”. 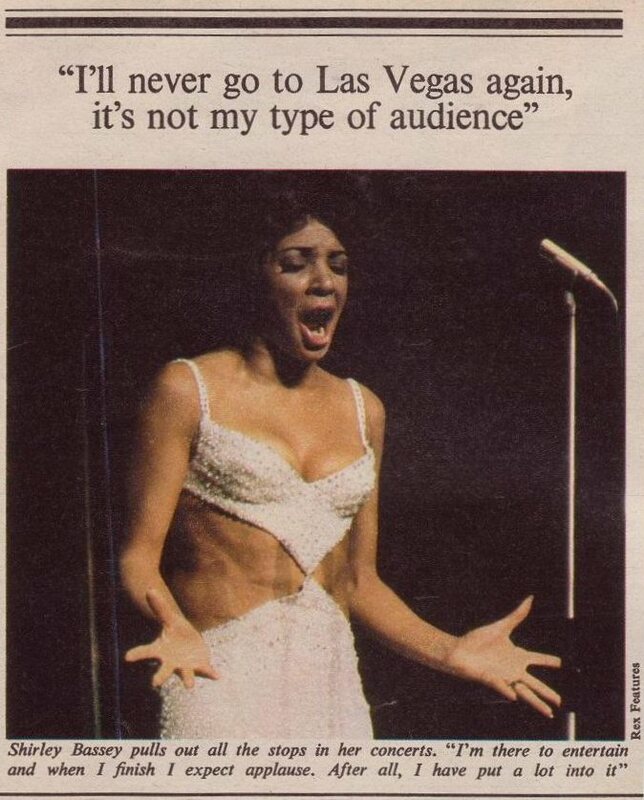 Yet in front of her, nearly all the 3,250 people who filled the theatre in Los Angeles, California, were standing to give an ovation just as exuberant as if she had just completed a faultless two-hour-concert. 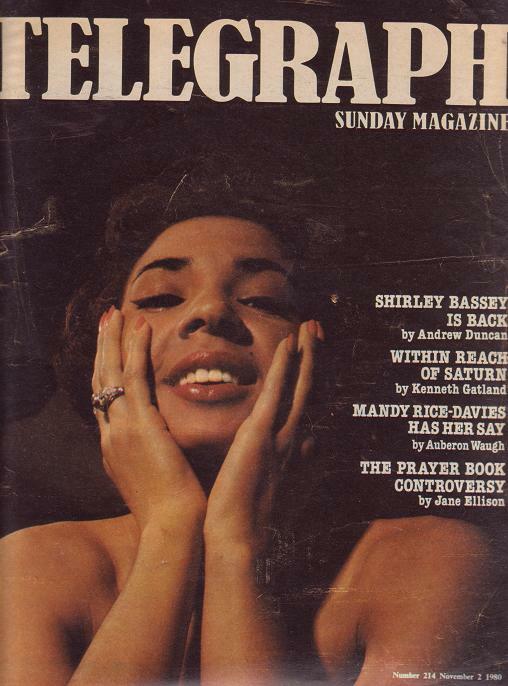 Shirley Bassey was back on the road, in a show which begins a tour of four British cities on November 13, and her remarkably faithful fans were determined to appreciate every second of an act which has been fine-tuned over 27 years to elicit every ounce of audience response. During the next 90 minutes she earned her adoration by bringing subtlety, vulgarity and humour to a dozen familiar middle-of-the-road songs-from “Goldfinger” which in 1964. was her fist big international hit, to the self-mocking raunchiness she used for “Big Spender”, to “My Way” which she sang while in a silver -lined ostrich feather cape and provided a climax perhaps too predictable for some, but which had the Los Angeles audience screeching and howling for more. Oscar A. Cohen, her longtime agent and new manager (since she separated from her second husband/manager earlier this year), fresh from the Beverly Hills swimming pool, swarmed in ecstasy as he tried to breathe new emotion into such careworn show-businesswords as “phenomenal”. Even the stage door bouncers, loaned by Muhammad Ali for the occasion, managed a faint scowl to illustrate how impressed they were as Shirley skipped, perspiring but well-satisfied, back to her dressing room and the warm appreciation of her three children, aged from 14 to 25, whose presence on this occasion had made her more nervous than usual. “I wanted to do something extra special for them”, she explained later in the comfortable house overlooking Bel Air gold club she had rented for a month’s holiday after her four performances were over. “Also, it was closing night, and I hate them because of all the goodbyes”. She has had more goodbyes than most, as she is one of the only female singers to tour the world frequently. “Streisand doesn’t….who else does? Pretty frightening isn’t it? when you think how big the world is and how many singers there are. You must love travel, and I inherited a wanderlust from my father. I can’t stay in one place too long. The longest I’ve stayed in a house without going somewhere is a month”. The effort has made her wealthy- her Rolls was in the garage, license plate number BIRD 80, and she lives in Lugano, Switserland, unharmed by British taxes. (“The situation in England is pretty ghastly, and it’s getting worse”)- but not entirely satisfied. “I haven’t been as good a mother as I should have been, or as the children would like me to have been, although they have been brought up far too well to let me know the disadvantages, I am happy to say. But we have all suffered, and the damage is done. There are things you remember. When they would see the suitcases coming up from the basement and they would ask, “Going away again huh?” Then they would hide in their rooms because they couldn’t bare it. My life with them has to some degree been a collection of scenes like that. In my next life I am going to come back as a mother, not an entertainer. I would get an education, work at something and concentrate on being a good mother. If I lived my life over and knew I would be in showbusiness I don’t think I would get married or have children. It is too demanding on me, and unfair to them”. “None of them want to follow me, not al all. Family and show-business don’t mix”. She laughed wryly as she tried to think of someone who had a happy personal life and a successful career. “I’d like to find somebody like that. No, you can’t have both. I have decided it is impossible to have two of anything- because only one thing will work for you. You cannot split yourself in two. There are all those different emotions in my work: preparation, singing, all the things you have to do before you walk on that stage. You cannot be wondering whether you forgot to turn off the heat under the spaghetti sauce, or whether the baby will wake up. It tears at you. An entertainer has to break himself into pieces, part for the public and part for the family. You usually wind up cheating and giving less to your family because this is a very demanding, exciting, infuriating, cut-throat business. And to do something great in takes all your concentration”. Her voice is powerful, even in normal conversation, each word enunciated in a perculiaryBritish middle-class way: clipped, assured, almost arrogant, with her native Welshness betrayed only when she is angry or excited. “Some people say I deliberately lost the accent. I did not. I do not read music, so I have to have an incredible ear to pick up a tune. And people with a good ear subconsciously imitate those with whom they spend the most time. She was born 43 years ago (“I will tell you my age. I don’t think there is anything everyone does not know about me”). in the Tiger Bay dock area of Cardiff, the youngest of seven children, to a Nigerian seaman and a Yorkshire woman who divorced when she was two years old. She had no ambition to be a singer. “It was the last thing I thought of. I wanted to become a nurse or a model. But I was always singing and someone asked me to take part in a local talent contest they ran at weekends. I was 14 at the time… but this is very old stuff. It’s been repeated 500,000 times”. For those unfamiliar with Miss Bassey’s early life, she continued with a brief autobiography. She left home at sixteen and worked as a waitress for two weeks in what she thought was a Greek restaurant in Queen Street, Cardiff. “There are all kind of things in Cardiff. It’s quite cosmopolitan. I was just getting the hang of carrying all the plates on one arm and six glasses in one hand when I began my singing career. I never wanted to do it, but I don’t regret it”. In fact she regrets nothing, really. “I have learned from everything. So in the end even the bad feelings have been a good lesson. You have to experience certain emotions in your life. Every singer must have something to say, must feel his or her songs. If you don’t have a background of experience, the superficial quality communicates immediately to the listener”. Nowadays, except vicariously during her concerts, Miss Bassey is not keen to talk about the experiences which make her songs vibrate. She was married first to British television director Kenneth Hume in 1961; seven years later she married Sergio Novak, then manager of a hotel in Venice, at a two a.m. ceremony in Las Vegas, where she was appearing. They seperated in February this year, and she described the problems of het current situation. “For women in my position it’s very difficult to find a good relationship. Male stars who are single can run around; it’s expected. No one says anything. If I were promiscuous and flitting from one man to the next, people would say all kinds of things about me. There are temptations, just as there are for succesful men. You have to be discreet, but it’s very hard when you’re a wellknown woman. I have to watch what I do, or I pay the price’. Between marriages she had a well published affair with the late Peter Finch, who once declared they were caught in flagrante delicto and added, “Unbeknownst to us we were being followed by the men in bowler hats. Shirley and I agreed that nothing put the candles out like a husband calling and saying, “I’m going to sue you”. Confronted with those comments, Miss Bassey became subdued and then perhaps justifiably irascible. “I never took Latin in school so I don’t know what the first part means. Is that what he said?” She paused for a long while. “Well”, she said finally, “I think, let the dead rest in peace. I know we’re in the public eye and things happen…but I’m fed up with those questions. There’s nothing new anymore”. She has had few professional set-backs to compare with the personal upheavels in her life. The one she remembers in particular is when she sang Goldfinger in Las Vegas for the first time. “I had a terrible experience, because no one knew I was black. Everyone nudged each other as I came on stage and they asked, “What is she doing, singing that other singer’s song?” “I felt like a wave coming at me; it bothered me for several nights. Then I just told them. “It’s me. I sang this in the film”. You could feel the shock and hear the mutters. I decided five years ago never to go to Las Vegas again. It’s not my type of audience. They only go there to gamble; the show is kind if thrown in. It’s horrendous. It may be all right for Tom Jones, because he gets young girls chucking their knickers at him and screaming, but I wouldn’t want any screamers. Of course, no one believes I really don’t want to go there and they think it must be a question of money, so they keep upping it”. ‘How much?” I asked, risking once more the return of her Welsh accent. “I never discuss money. Never have. It’s vulgar for an entertainer to talk about money. That’s a manager’s job. Las vegas is not the only place to be deprived of her talents. She will never ever perform again during that pinnacle of Monte Carlo social life, the Red Cross Gala. “The audiences are just dreathful. They clap slowly because they are loaded down with jewelery; and they look to check if the Prince and Princess are clapping first. By the time everyone’s done that I’m into my next song. I did it once. That was enough. There are certain things in life where once is not enough. There are others where once is definitely enough. This year I did a private show for IBM and another in London for Datsun. The money’s great but they are killers and I won’t do them again. I can’t relate to audiences which just sit and stare at me. I’m there to entertain and when I finish I expect applause. After all, I have put a lot into it. Before a show my feeling depends upon what kind of day I have had and my physical well-being. Sometimes I laugh and joke right up to the end and walk on stage without a nerve in my body. Other times I need to be very quiet, everyone must leave the room while I sit and think about what I’m going to do, sort of psyche myself out”. The setting of the Bel Air House, the Rolls, the family – unseen, yet present – a youngish, curly-haired Australian who described himself “as part of the security” and kept a watchful eyes on Miss Bassey, the luxurious travel from city to city, the home in Switserland – it was all a long way from Cardiff docks. “You look back and you don’t think, ‘It’s unreal’, because it is real. You say, ‘Crickey, I wonder what would have happened if I hadn’t gone into show-business. Maybe I’d be like my five sisters, married, tons of kids. Don’t ask me how many they have. It’s too many, particulary at Christmastime. I don’t see them a lot, because I only go home two or three times a year to see my mother, and I can’t work in Cardiff because there is nowhere for me to sing. Isn’t that disgusting? Wales has to do something because two of their biggest artists, Tom Jones and myself, have nowhere to play there. I used to go to the Capitol cinema, bit it’s turned into an office block or supermarket. It’s infuriating and sad”. At present she is slowly unwinding her career, working only six months a year with no definite end in sight. “Who knows what next year will bring. I might lose my voice. I might die tomorrow. I suppose I might return to Britain when I retire, live in the country and do some gardening. Why not? That’s where I started and that’s my home”. But her roots are no longer there. “I lost all my friends from Cardiff the moment I left to go into show-business. They all got married and moved their different ways, some to London, others to South Africa or Canada. In fact I have very few friends and none of them are in show-business: which is why they remain friends. Most of them live in London and I can count them on the fingers of one hand. They are all I need. I don’t need any more”. Well, besides them, she has the memories which are etched into all her performances . Together they make a compelling and emotional statement. Below a video of Moonraker and Dame Shirley performing the song in a James Bond medley. Thank you Pieter. You have outdone yourself again with this archive. 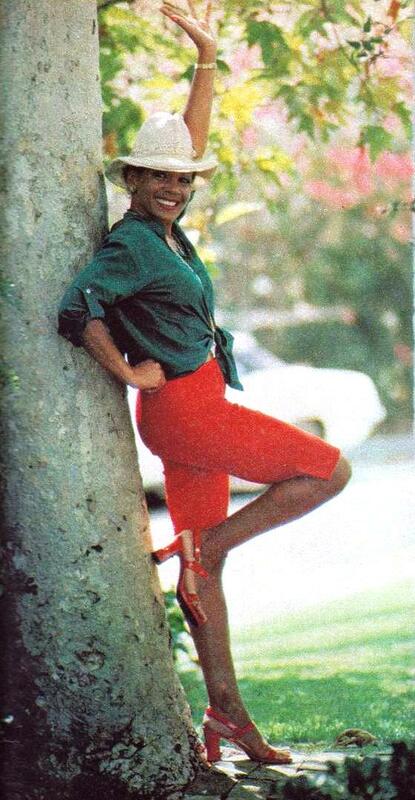 I enjoyed learning more about this lovely song, that happens to be another one of my very favorite that DSB sings of the Bond songs, the first is Diamonds Are Forever, then Goldfinger. I thoroughly enjoyed the great performance by DSB in the video, and DSB looks sharp in her white Fedora feathered hat. She looks like the confident, intelligent, and strong woman that she is. Thanks again. I love the song Moonraker so much, the slow and the uptempo versions are both so nice!